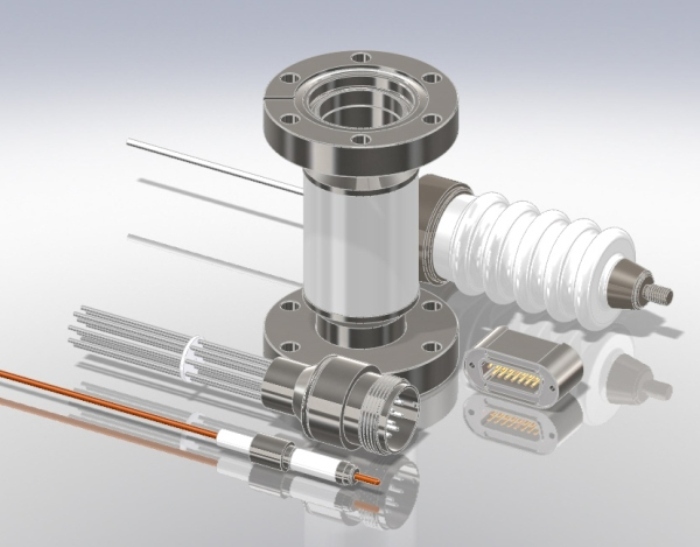 Electrical Feedthroughs - Hositrad Holland B.V.
Hositrad electrical feedthroughs provide the solutions for applications requiring hermetic and electrical isolation. In addition to remaining in leak-free High and Ultra-High Vacuum, many of Hositrad's feedthroughs can accommodate: High Temperatures, Cryogenic Temperatures, High Pressure and Aggressive Chemicals. These feedthroughs are commonly used in semiconductor processing equipment, accelerators, furnaces, instrumentation and analytical test and measurement equipment. 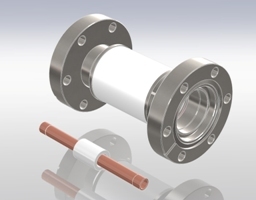 Ceramtec’s hermetic Micro D type (MIL-DTL-83513) connectors are built for the most demanding environments. The contacts are on .050 [1.27] centers, which provides a signicant space and weight savings over other traditional Mil Spec connectors. Standard congurations are available as a weld-able unit or in a Conat® or ISO flange. Each pin is individually sealed and electrically insulated from the stainless steel housing. This allows for a very high pin/lead density and extremely robust hermetic seal. These products are all RoHS compliant. 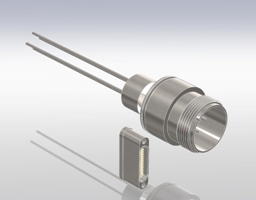 Typical applications for these hermetic Micro D connectors include military and commercial aircraft, IR cameras, laser-guided systems, MRI equipment, semiconductor testing and inspection equipment. 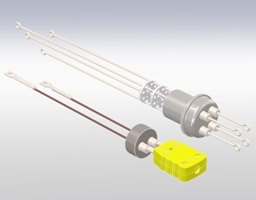 Ceramtec has re-designed and improved the Micro Sub-D feedthroughs. Please call for the updated specs and dimensions! 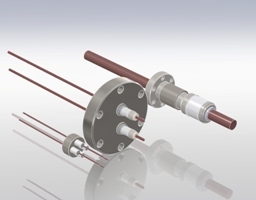 Standard feedthroughs from stock in Holland are as follows:- BNC, MHV, SHV, Thermocouple, Power, High Voltage, Multipin, 50-Ohms, Typ-D, Circular Connectors, Viewports Sapphire and Fused Silica. We can weld these feedthroughs in our workshop in Holland very quickly on any type of standard or special customized flange. In addition, Hositrad's experience enables them to provide our customers with precision-engineered custom feedthroughs. 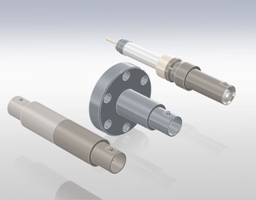 The latest products include the Circular Connectors from 3-Pin up to 41-Pins with plugs on both sides.